Family Day Care is a unique and highly flexible childcare service providing quality care for children in the homes of Family Day Care Educators. In Family Day Care, children learn through play and exploration and participate in activities planned by the educator to suit each child’s individual needs. Family Day Care offers so much more than a fun, safe place to leave children. Family Day Care Educators deliver a flexible and spontaneous approach to learning in a safe and progressive environment to a small group of children. Family Day Care provides learning and development in a secure and stimulating home environment where flexibility, safety, consistency and family values underpinned by meaningful and often long term relationships are all key ingredients in building happy, well-adjusted children. For children, growing and learning in a Family Day Care home is a natural and authentic experience. Having the opportunity to develop in a family-focused environment and mixing with a diversity of ages and cultures is a great way to build confidence, self-esteem and social skills in children. Bowen/Collinsville Family Day Care is a not-for-profit incorporated association providing family-based day care for children in the Bowen, Collinsville, Whitsundays and Burdekin regions. Early Childhood Educators are registered with the scheme and operate as private contractors. The association is governed by a board of management which consists of representatives including parents, educators, coordinators, and members of the general community. The Association has operated since 1991 and currently has a staff of two coordinators. The Association receives funding from the federal Department of Social Services to coordinate service delivery, support and provide professional development opportunities for educators, and to monitor compliance with the various standards, and legislation. 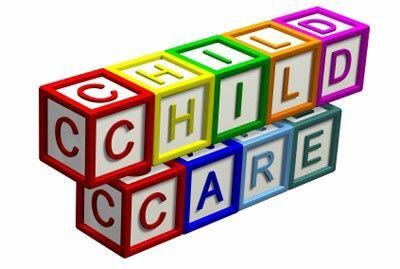 As part of the National Quality Child Care Framework, Bowen/Collinsville Family Day Care abides by National Regulations and National Standards to ensure that the quality of care is of the highest standard. Educators must hold, or be actively studying towards formal qualifications. Bowen/Collinsville Family Day Care is a locally operated and community-based organisation dedicated to providing quality childcare care to all residents of the Bowen, Collinsville, Whitsundays and Burdekin areas. We provide a valuable service for the community and pride ourselves in delivering tailored and flexible solutions to meet the individual child care needs of families. To provide quality affordable, safe, home based education and care in a supportive environment in which children, parents, educators, co-ordination unit staff and licensee enjoy trust and show respect for each other, thus enabling all to achieve their potential as contributing members of a caring society. To provide quality, affordable, safe home based education and care. To provide a flexible service that can offer full time, part time, weekend, shift work, casual, and emergency care, and before and after school care when possible. To promote understanding, tolerance and mutual respect for all service participants through communication, education and training. To involve stakeholders and the local community in the planning, management and integration of the Service. To promote co-operation between the Service and other community agencies by the building of useful networks.